Charleston Plantworks installs and repairs residential irrigation systems for lawns and drip irrigation. Irrigation systems ensure healthy lawns, shrubs and flowers with minimum maintenance. Irrigation systems also conserve water for lawns, plants and flowers lowering your watering costs and promoting environmental responsibility. Charleston Plantworks installs and programs multi-zone lawn irrigation systems. Our Charleston landscapers will program and optimize the watering schedule for multi-zone systems based on the season, type of irrigation head, soil conditions and plant materials. Drip irrigation is preferred for gardens, beds and containers because of it’s efficiency and lower watering costs. Pop-up sprinklers are used for watering larger areas such as lawns and large beds. Our Charleston landscapers will help you pick the correct type of grass for your soil type and sun/shade ratio. Installing the correct type of sod for your landscape will create a disease and weed resistant lawn. Installing the correct type of sod for your landscape will also create a durable and low maintenance lawn. 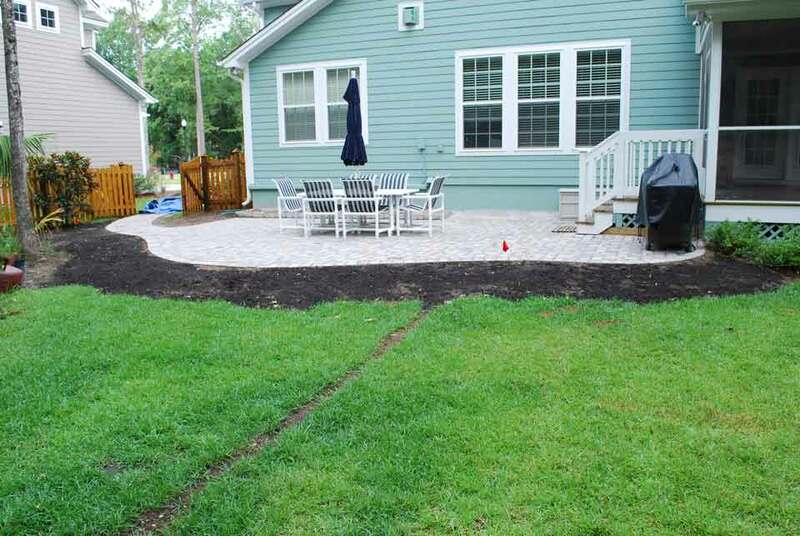 Sod installation from Charleston Plantworks includes grading your landscape, installing drainage systems, amending soil, installation and rolling. Choose from our sod selections including St. Augustine, Zoysia, Bermuda and Centipede from the highest quality farms. Charleston Plantworks creates lush lawns, beautiful gardens and shady retreats. Imagine your bare feet in a pillow soft lawn! - Scotts Miracle-Gro pulls weed and feed off shelves after grass-killing complaints in South Carolina! - The two impacted products are Scotts Turf Builder Bonus S Southern Weed and Feed and Scotts Snap Southern Weed and Feed. - Call Charleston Plantworks to discuss how Scott's will reimburse you to fix your lawn. Call (843) 579-1033 or email info@charlestonplantworks.com for pricing on sod and irrigation systems.